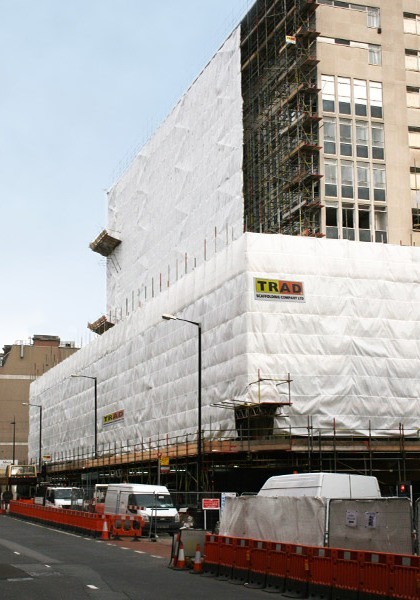 Keltbray Demolition recently instructed TRAD Scaffolding to carry out the scaffolding package for the demolition of this office block which stands within the proposed Victoria Circle development. 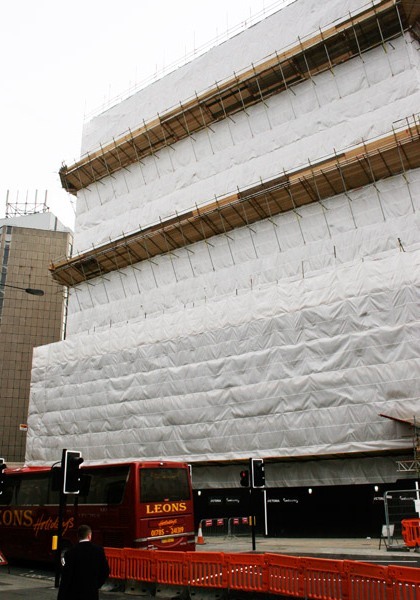 The main area of concern with this project, was the sites close proximity to the public and traffic. 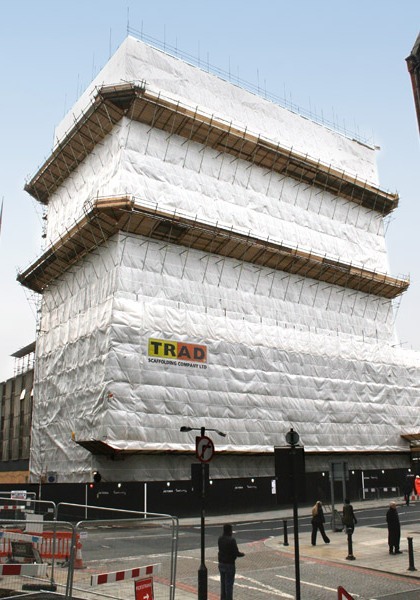 TRAD and Keltbray worked closely together to overcome the difficulties of the site, this entailed a high level of planning and collaboration with regards to segregation and safe systems of work. 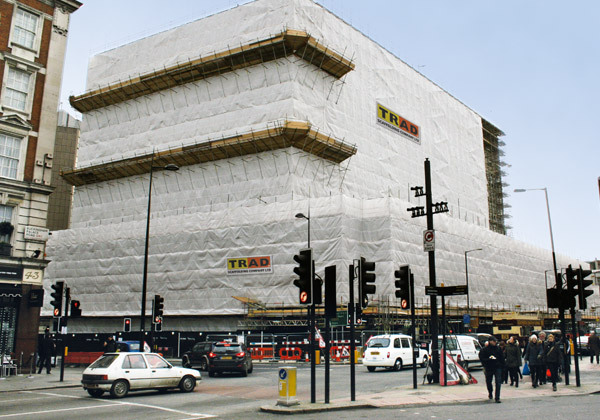 This was a highly successful process which ensured the trouble free erection of 6553m2 of tube and fitting façade scaffold and associated gantries over a 12 week period. The project has been led by Del Storey, one of our Project Supervisors who is also an active member of our Safety Leadership Team.